The key to success in life is health. Without our health we can’t succeed in work, life and in our relationships. With my 4 week Wellness program designed to beat mental stress, anxiety and tension you will learn the power of breath and how it can change your life and increase emotional, physical and spiritual wellness. If you’re seeking mental clarity, balance, stress reduction and more energy, you will enjoy my 4 week Wellness Yoga Program. With just 2 classes a week, a 4 week consistent practise (total of 8 classes), you will feel yourself again. You will learn how to manage stress, combat anxiety, and relive mental tension. This program is a complete “mental detox”. I will be your guide and teacher during this course. The course welcomes beginners. In just 4 weeks you will have new tools to reduce stress, invite calm into your life and improve your wellbeing. Health is your success in all aspects of life. You deserve to feel amazing and to give your body and mind what it deserves. You can choose to join a group (6 people max to keep it personal) or to book the course privately at your time and convenience at your home. 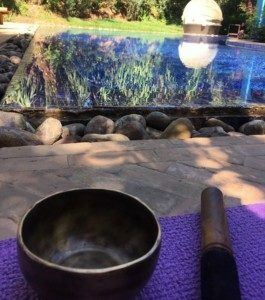 Book the 4 week Wellness Yoga Course as a group or privately and enjoy the luxury of me coming to you. You choose the time and days. Contact me here for your price quote. After 8 sessions in 4 weeks, you will feel stretched and balanced and notice a significant change mentally and physically. Physical and emotional health is key to success in all aspects of life. There will come a time where you have to spend money on your health. You have the choice to spend money on doctors and medication when you have neglected your health for too long, or you can choose to spend your money now paying for a private Yoga teacher, a fun Tone Up Yoga course or a personalised Yoga program. Why not invest in your health in a positive way and aim for emotional, physical and mental wellbeing? The only way to transform your body, mind and soul is to have a consistent Yoga routine. To me Yoga isn’t just a workout but a much deeper practise which makes me stay balanced and healthy on the inside and healthy, slim and toned on the outside. I love this combination! I would love for you to experience the same, to see and feel the changes in yourself, your life, your relationships, and your personal life. FREE GIFT – When you sign up for the WELLNESS YOGA COURSE course, you will receive the offer of combining 2 FREE TONE UP YOGA CLASSES to your program. You will also receive special offers on day events, day retreats and much more. You can book the 4 week program 1-1 (I come to you with all Yoga equipment), and you stay in the comfort of your own home. The program is suitable for beginners too. Come as you are and let go of worries. When you sign up for the course, you will receive special offers on day events, day retreats and much more. 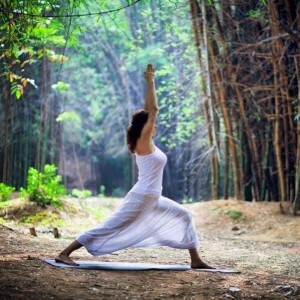 You will also get the offer of combining 2 FREE TONE UP YOGA CLASSES to your program. I look forward to seeing you and connecting with you on the Yoga mat!